It was cruel of a senior official to swipe two “reckless” policy directives on trade from President Trump’s desk before he could sign them. He should not have left the chief executive to start his working day staring into empty space. Sad. Better to have left the president to contemplate a sheet of paper with a one-line sentence from a former secretary of state: Pottery Barn rule — you break it, you own it. Colin Powell deployed the Pottery Barn metaphor before the invasion of Iraq. The Bush-Cheney administration broke the pottery, and to this day we own the terrible consequences. Trump has in his hands a precious Etruscan vase. What happens now if he drops it — if, in a xenophobic “America First” mood, the United States breaks up the alliances with like-minded nations in Nato? Or takes an axe to the series of political, trade and financial institutions fashioned fitfully over decades by both parties? We would own the chaos. We wouldn’t know where to begin recreating something like today’s system of international order because we have a flawed understanding of its history. 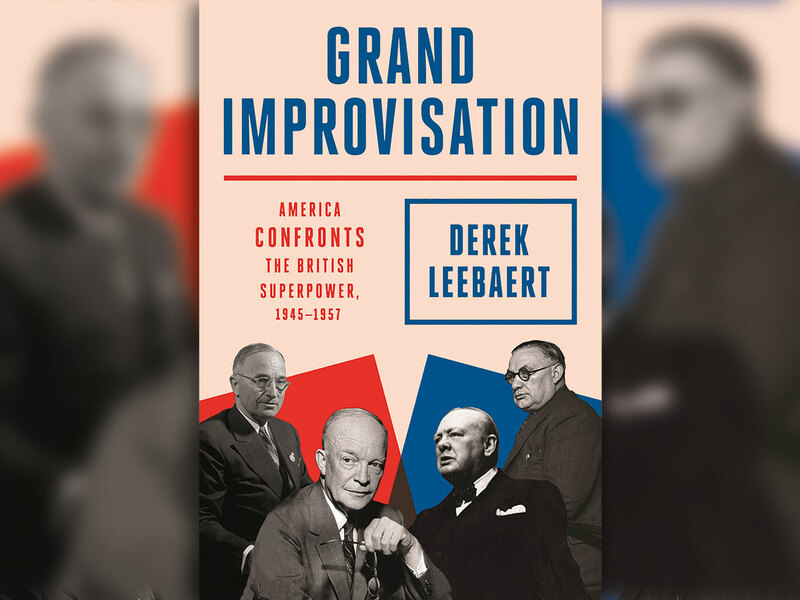 That is Derek Leebaert’s thesis in Grand Improvisation, a dense reconstruction of events and leaders from 1945 to 1957 that draws impressively on many original sources. One might quarrel with the belligerence in the subtitle, America Confronts the British Superpower. Leebaert, the author of several books on foreign affairs, suggests more like the reverse, with British world experience over centuries confronting an untutored Washington. He has fun with an incident in the Arabian Gulf, long regarded as a British lake. In 1948 the American admiral Richard Conolly and his fleet made a grand port call on Salman Bin Hamad Al Khalifa, the ruler of the British protectorate of Bahrain. The shaikh’s personal adviser for 22 years was the Foreign Office’s Charles Dalrymple Belgrave, fluent in the gulf’s dialects and customs. He introduced Conolly to Shaikh Salman, who proudly presented his young son standing nearby. The admiral and his retinue didn’t understand the introduction or know what to do with their hats. “They assumed the son was a slave, treated him like a cloakroom attendant and quickly buried him under their headgear.” It was one of a series of gaffes that Belgrave reported back to London. Maybe the empire would not be taking second place to the Americans after all. - British military and related scientific industries produced higher proportions of wartime output into the 1950s than similar American sectors. - Britain was ahead in life sciences, civil nuclear energy and jet aviation. The Gloster Meteor was the first jet warplane to enter the war, and the English Electric Canberra high speed jet bomber was adapted by the American Air Force as the B-57. 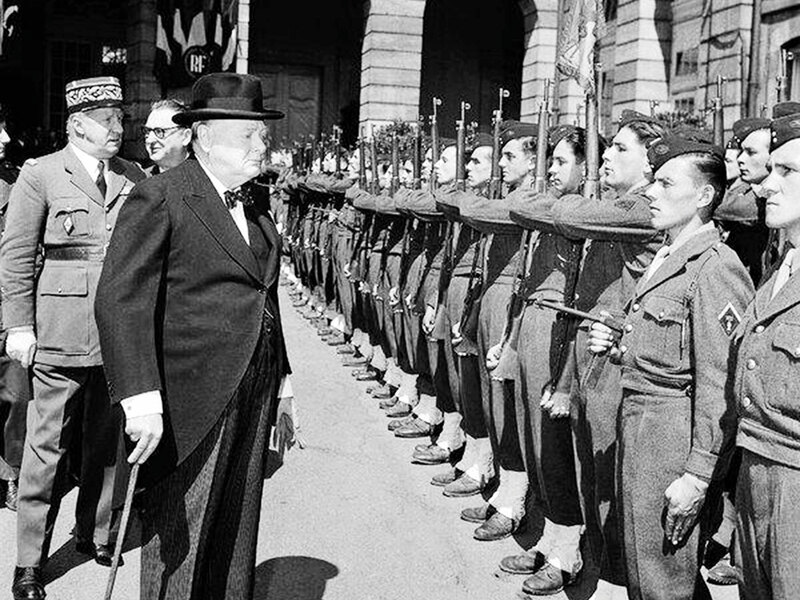 - With the American Army heading home after defeating the fascists, the British Army of the Rhine remained the largest military presence in Western Europe. - British intelligence services outshone the Americans. The CIA’s “daring amateurs” were often diverted into futile paramilitary adventures. Leebaert is justified in highlighting Ernest Bevin in all this. Britain’s redoubtable but unsung foreign secretary “stood against the sky” when Greece, Turkey and Berlin were in play in a treacherous game of bluff and double bluff. I knew Bevin as a formidable working-class trade union leader and Leebaert has him right. Bevin “was visibly a bruiser with a bull neck and loud voice. He was squat at 240 pounds [108 kg] with putty-lump features and a goggling stare that gave him an aura of menace.” He was the working man’s John Bull, the “Labour Churchill.” Bevin roasted American legislators for embracing free trade for everyone while they themselves raised tariff barriers. His staff catalogued the raw materials the United States had lacked when it became engaged in the fighting in 1942, and he observed that in any future war America would have to rely on the empire for copper, tin and other vital commodities. A testing point for American resolve came on the rain-dank 21st day of February 1947. The British ambassador’s office alerted the State Department that in a few weeks Britain would stop assisting Greece and Turkey. In his memoirs Secretary Dean Acheson describes the message as shocking. This was exactly the reaction Bevin wanted. He had no intention of withdrawing the British troops holding off Communist guerrillas, but he wanted to scare the Americans into realising what was at stake. The shock tactics worked to get the “jittery” Americans to pay up and show up, which they did handsomely. In March, Truman committed $400 million for Greece and Turkey. It was the genesis of the “Truman Doctrine,” whose sweeping rhetoric, adopted by all Democratic and Republican presidents, obliged the United States to assist “free peoples” resisting “totalitarian regimes.” It was a blank check. The people of Greece were not free of venal corruptions any more than Latin America was free of brutal dictatorships, but it was easier to appeal to America’s preference for the moral high ground. Bevin was effective again in 1948, when Stalin attempted to cut off Berlin. President Truman was up for election in four months, faced with a Republican majority in Congress opposed to European “entanglements.” But Bevin insisted the West could not let Stalin starve Berlin. The judgment of the historian Jean Smith, endorsed by Leebaert, is that without Bevin, Berlin would have been lost. Instead, hundreds of round-the-clock airdrops of food and supplies by the British and the Americans triumphantly sustained the city for 10 months. It was a turning point in the history of the 20th century. Leebaert does not spend time imagining a back-to-the-future isolationist America similar to the 1930s and early 1940s, though the shadow of those years haunts his narrative. Public opinion, racked by the First World War, was seduced by America First rhetoric into enacting the Neutrality Acts of 1935-39. How many remember that it was Hitler who declared war on the “half Judaised, half negrified” United States he thought had lost its will? Sir Harold Evans, editor at large at Reuters, is the author of The American Century.